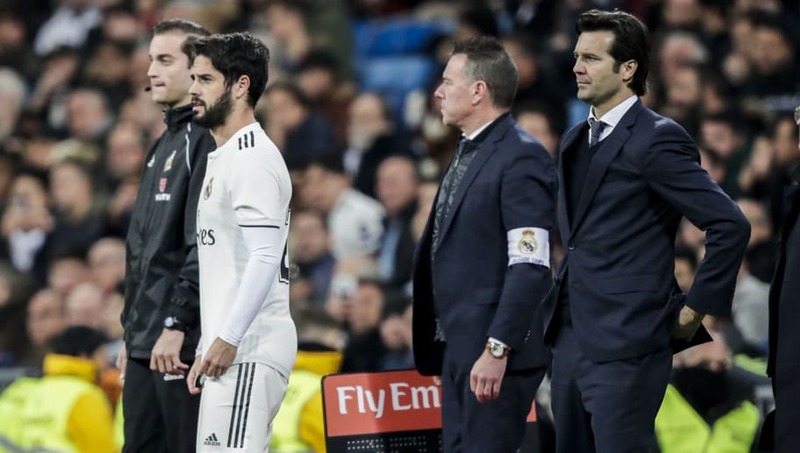 ​Real Madrid manager Santiago Solari has called for 100% effort from his side, as he responded to Isco's comments regarding his lack of match action this season. The 26-year-old has seen limited game time since the arrival of Solari in October, with the attacking midfielder - who was an unused substitute during the 1-1 draw in the Copa del Rey semi-final first-leg against Barcelona - taking to ​Twitter to suggest he 'doesn't enjoy the same opportunities as his teammates'. As quoted by ​MARCA, Solari said: "A professional footballer's job is to work and to train at 100 percent to be of service to the team. The team is good and the players are all working well so that the team is the priority." "Football is about work and talent. You have to give everything in training and to be available when you have to play." ​Real Madrid have the chance to move up to second in ​La Liga should they beat Los Rojiblancos at the Wanda Metropolitano, as well as moving them to within five points of league leaders Barca, who play Athletic Bilbao later this weekend. Los Blancos enter the Madrid derby in great form, winning five of their last six games in all competitions since losing the second-leg of their Copa del Rey round of 16 tie against Leganes in mid-January, scoring 17 goals in that time. Isco has​ reportedly been ruled out of the derby after picking up a back injury in training this week.